Common Assignment & Research Questions: How do I find MSSU Honors Theses? 1. 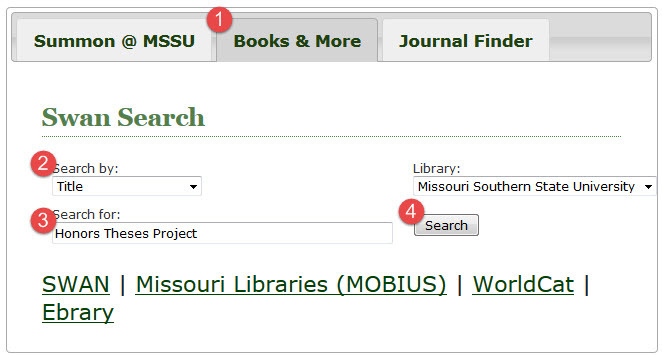 On the library homepage (http://www.mssu.edu/library/) select the 'Books & More' Tab. 2. Enter, 'Honors Theses Project' in the 'Search for' field. << Previous: What is/How do I find an abstract?